As the world’s population ages, the decline of cognitive function and dementia among elderly people are becoming serious problems. Cognitive impairment and dementia affect the quality of life and increase health care costs. Possible risk factors for cognitive impairment and dementia include masticatory dysfunction and malnutrition. 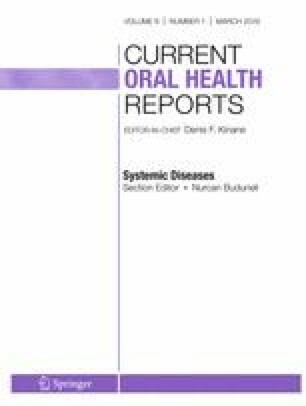 Recent findings in epidemiological studies in which the associations of mastication and malnutrition with cognitive disorders in elderly people were investigated are described in this review. There have been several longitudinal studies and many cross-sectional studies on these associations. Many studies showed that mastication directly affected cognitive function. Furthermore, mastication has been interrelated to nutritional status, which affects cognitive function. Most studies have shown positive associations of them in elderly people. Mastication and the status of nutrition might both affect cognitive function while related to each other. This study was supported by the Grants-in-Aid for Scientific Research (18K17286) from the Ministry of Education, Science, Sports, and Culture of Japan, Tokyo, Japan. This work was also supported by The Research Funding for Longevity Sciences (29-25) from the National Center for Geriatrics and Gerontology (NCGG), Japan.